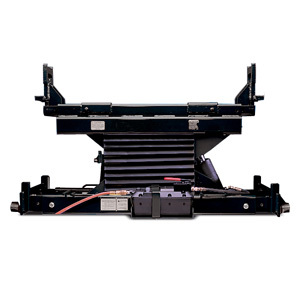 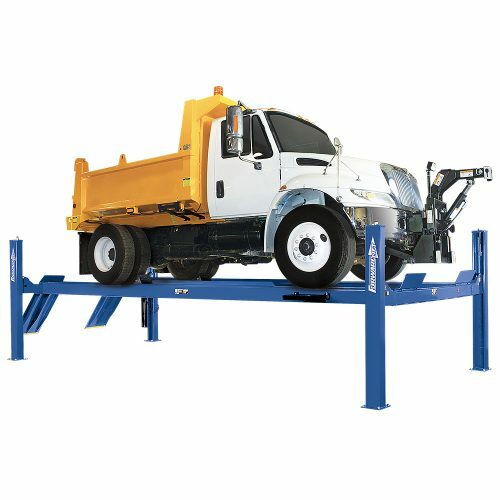 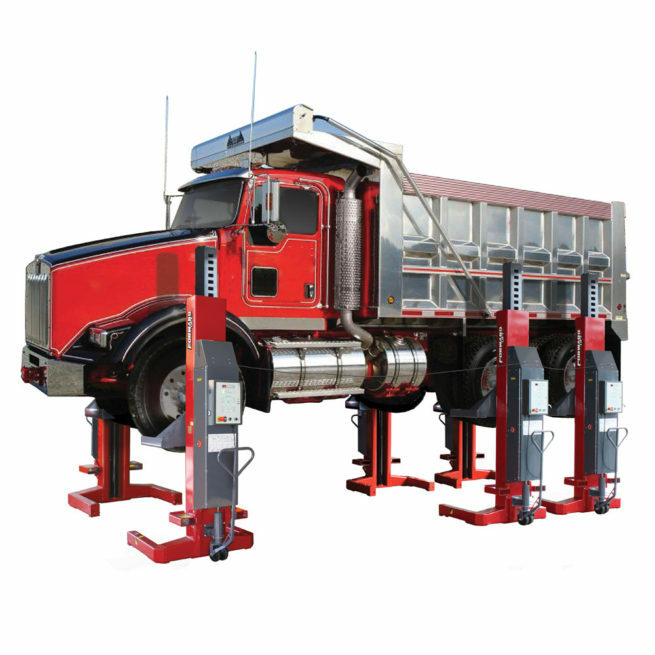 Forward Lift - FCH4 Mobile Column Lift - 72,000 lb. 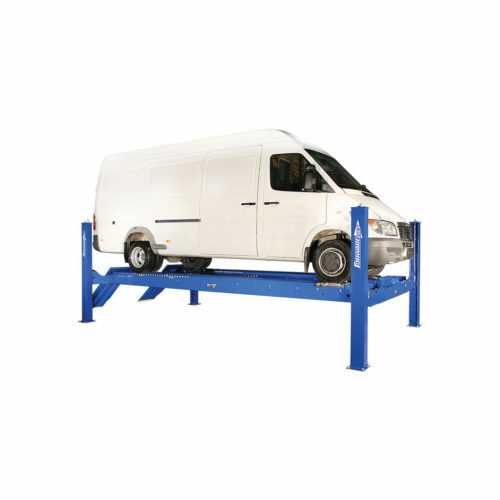 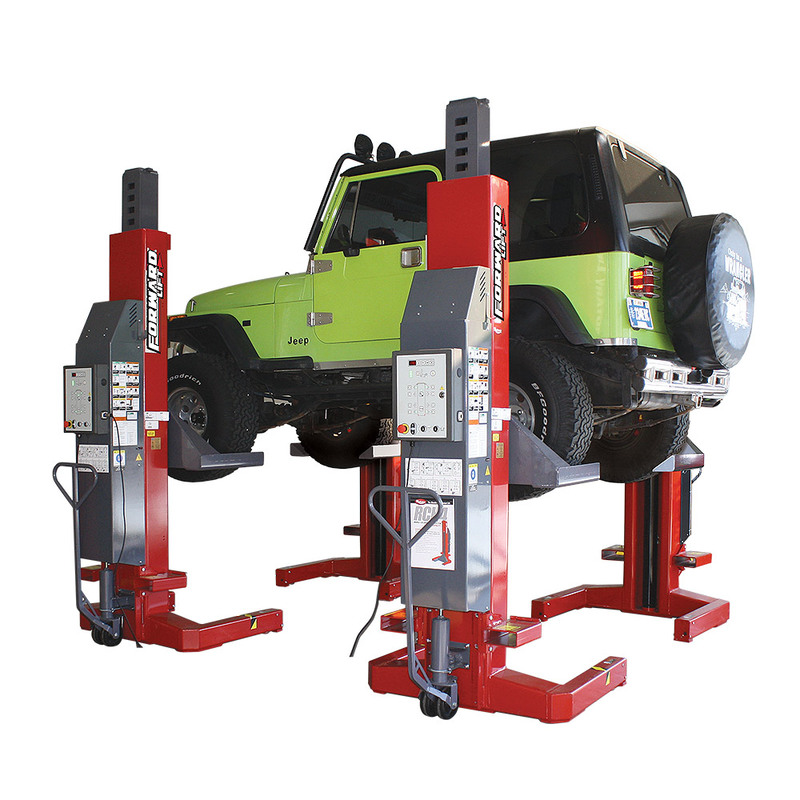 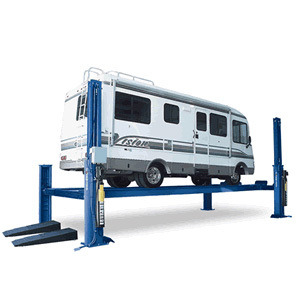 Lifting Capacity - Gary Bloom Sales, Inc.
Forward’s FCH4 Mobile Column Lifting System is for a forward thinker who doesn’t want to tie up space in their workshop with a permanent lift structure. Battery operated with internal charger you plug these lifts into any standard 110 volt receptacle and it’ll charge the dc batteries inside. 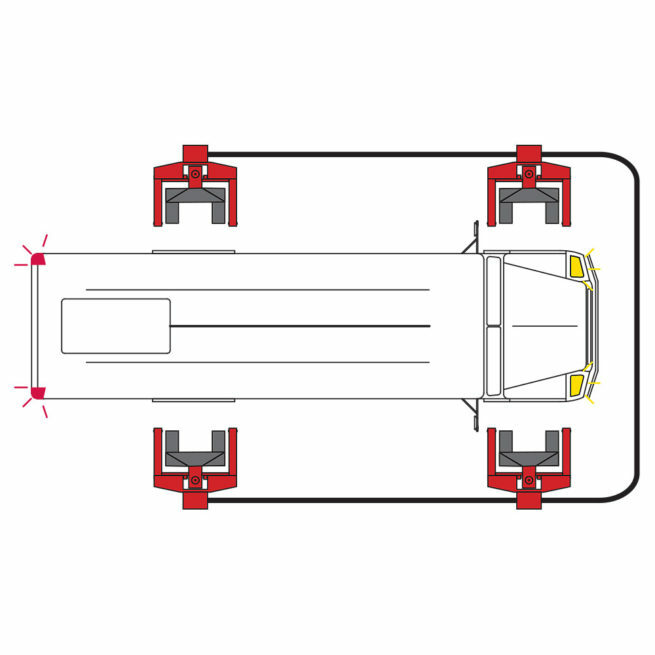 Once charge is full there’s no clutter of power cords in the service bay and you can move them to any bay you choose. 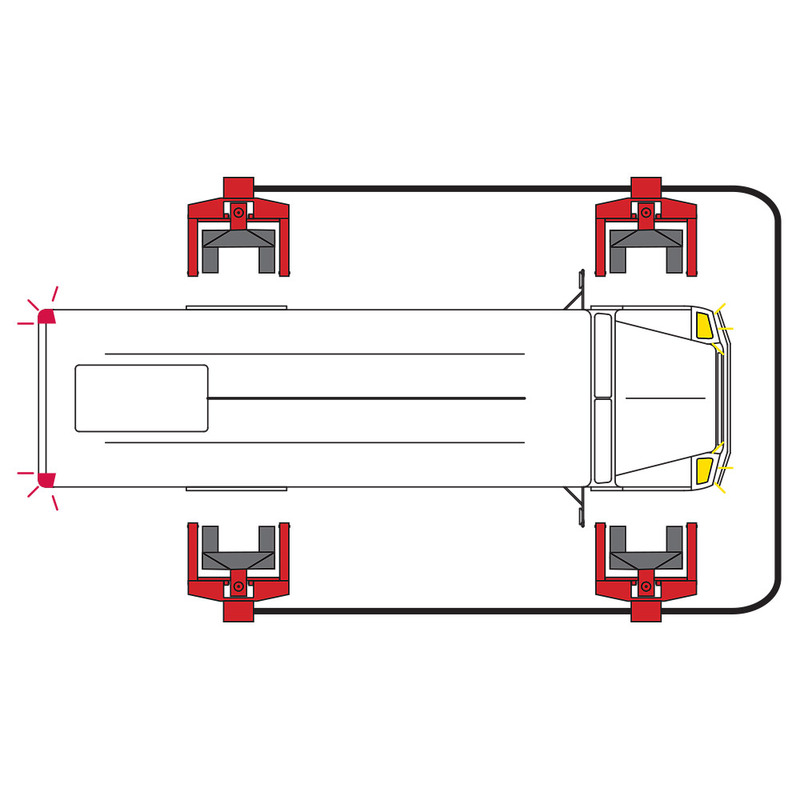 Integrated fork pockets let you pick up the lift if you need to move it outside, otherwise you can freely move the lift yourself with automatic steering system. 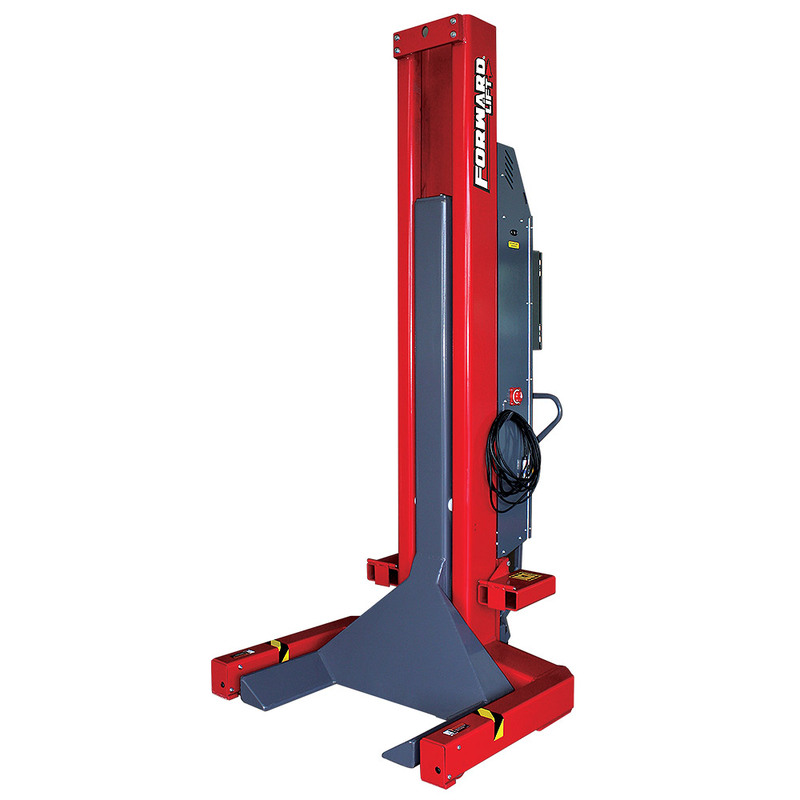 Just move the handle down, no need to pump the jacks up to move the column.